The first Happy Funeral was held in Paris on the 21st of March 2009, more performances followed all around Europe–St.Moritz, Wroclav, Berlin, Copenhagen , Stockholm, Helsinki, Barcelona, Amsterdam, Cahors and Florence. 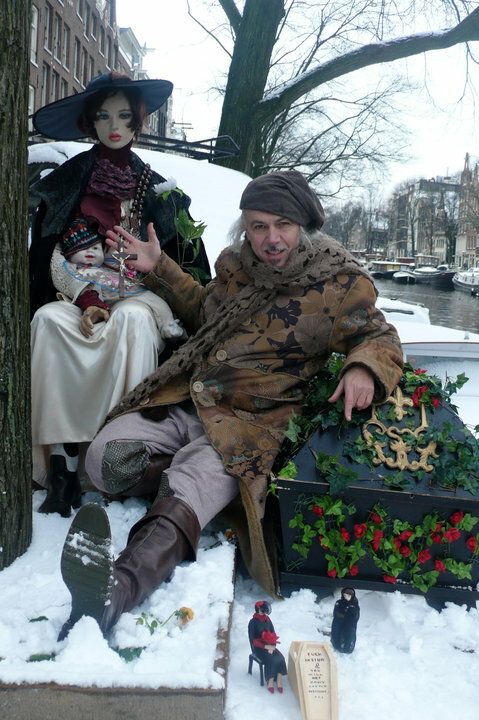 During this unusual journey, Vinko Prizmic was accompanied by his Muse, Nora Amore Conde, and by a coffin with a soul – Something Better (decorated by German artist Niki Boden) . Vinko Prizmic felt the call for the fifth continent yet to be visited, and went on to San Francisco, North America. 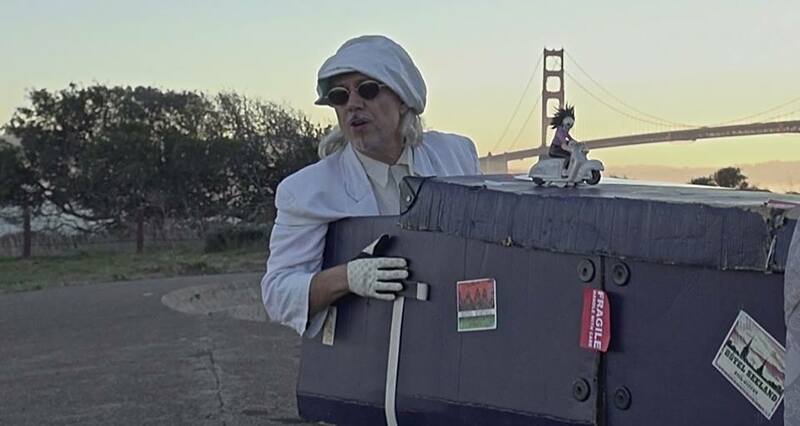 In January 2014, accompanied by the former angels of San Francisco Ballet, Something Better Houdini (the only foldable coffin in the world designed by M.S.Brill ) gently and graciously resting on the cliffs of the Golden Gate skyline. The sixth and last continent was South America. Welcome to Buenos Aires. The guests, as well as the statues of noble angels of the “La Recoleta Cemetery” were delighted, amazed and confused by such unusual performance. 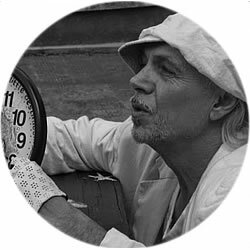 Traveling to six continents carrying one’s own coffins is a wondrously daring tour… embarked upon to enlighten the living with the metaphysical concept of a divergent view of the end of life. It cannot be described as a theater piece, nor as a performance act. It cannot be embraced in any known art form because nobody ever has ever served as a traveling ambassador of the sensitive, emotional, and painful subject of death. is a world premiere of a brazen attempt to cause one to look past the defined boundaries of discussing the inevitable. 8jOc87 Very good post.Much thanks again. Fantastic.